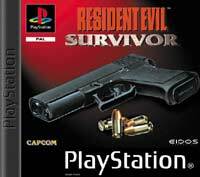 Resident Evil goes First Person Shooter! Armed with your G-Con light gun, you wipe out zombies & monsters as you wake with memory loss after a helicopter crash. Not as aesthetically pleasing and innovative as the regular RE games, but the addition of the first person dimension, places you right there in the action. Thing is, you also cannot save when you like, you have to finish this baby in its entirety! So, get ready for some late nights.